Witchcraft and magic are very real. These practices have existed as precise sciences for thousands of years. More importantly, every single person can learn to do witchcraft and magic. We are all born with the talents and abilities that empower us to do the rituals and spells in this book. In the distant past, studies in witchcraft and magic were just as important as math, science, or the arts. 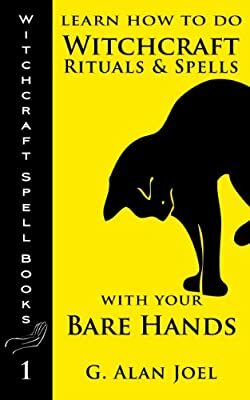 This book is the first in a three-part series dedicated to spreading the knowledge of practical witchcraft and magic around the planet. Because the books in this series can be studied individually or in sequence, the introductory material on practitioner safety and effectiveness is repeated in each book. With these rituals and spells, you will be able to understand the actual workings of the Universe through direct experience, and communicate with beings on all levels, such as angels, totems, and Sky and Earth beings. Begin your journey into witchcraft today!